The rainy season, which runs through the whole of June throughout Japan, is, of course, a time of many rainy days, but it is also very warm during this time. It happens often that the weather changes very suddenly from a strong rain shower to right after being very humid. During these days it can be very difficult to decide what to wear when going out. Especially, deciding which shoes to wear is very difficult. Nobody wants to have wet feet or shoes soaked in water. 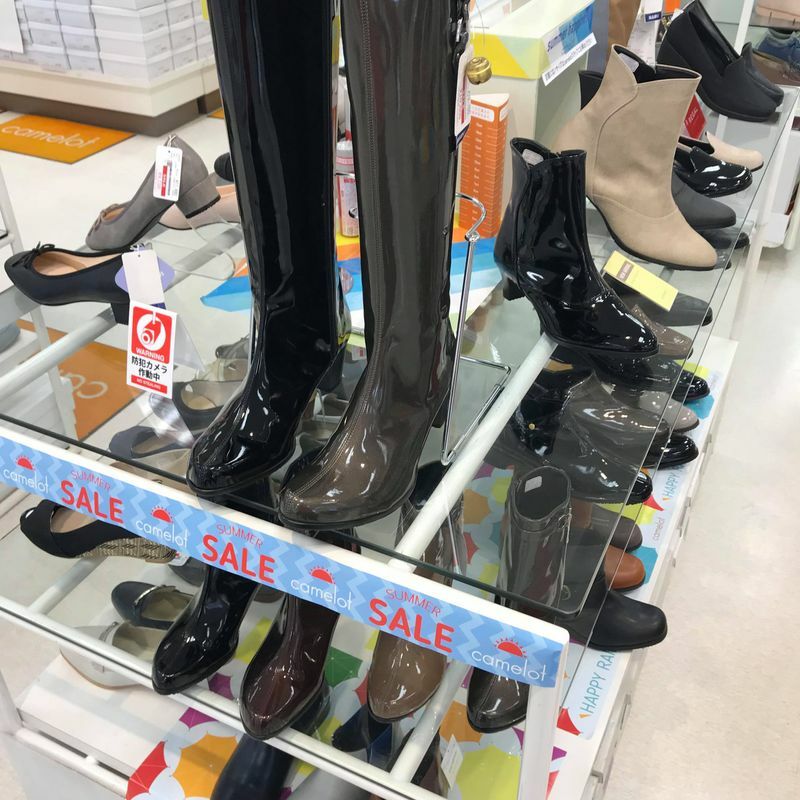 A very good choice will be rain boots which you can find at every department/shoe store in Japan, especially during the rainy season. Luckily, nowadays you can buy not only very colorful rain boots but also very fashionable ones. Woman can choose between high cut or low cut boots in a very fashionable design. It is sometimes hard to see that the boots are actually rain boots because they just look like normal shoes. That is what makes them very good for going to the office or just if you don't want to stand out so much with colorful shoes. In particular, the low cut boots are very good during the rainy season because you will sweat less in them. Also, if you prefer a more sporty style, you can find rain boots which look like sneakers. Of course, these are made with the younger generation in mind and it can sometimes be difficult to find them in the right size. 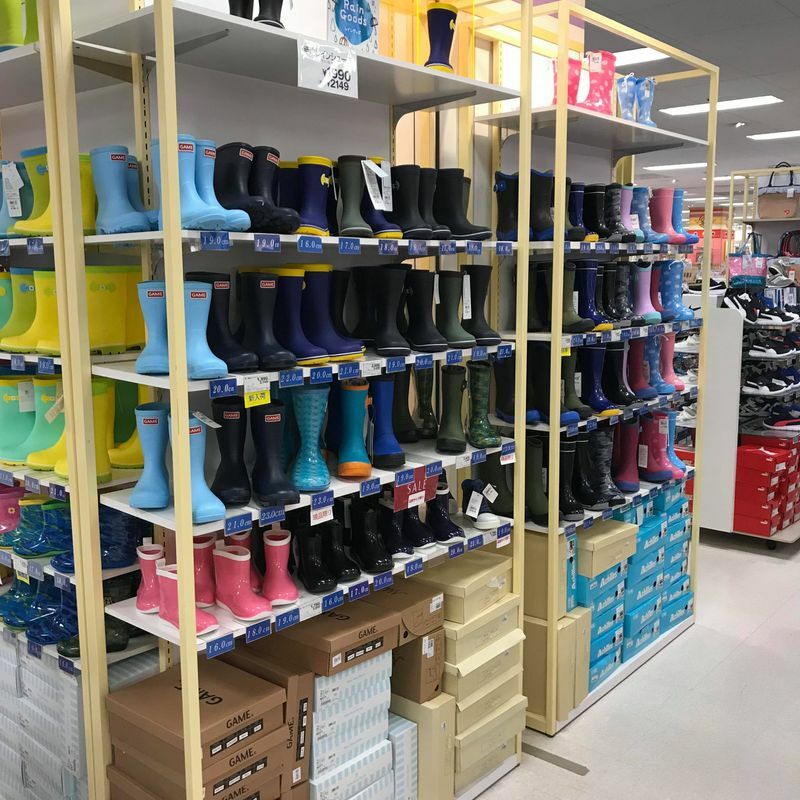 Kids can also choose from a huge variety of rain boots, from very colorful boots to simple designs or just normal looking shoes. Especially for school kids though, rain boots shouldn't be too colorful (some schools have restrictions on that). 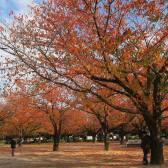 The first year when I started living in Japan, I had very often wet feet. 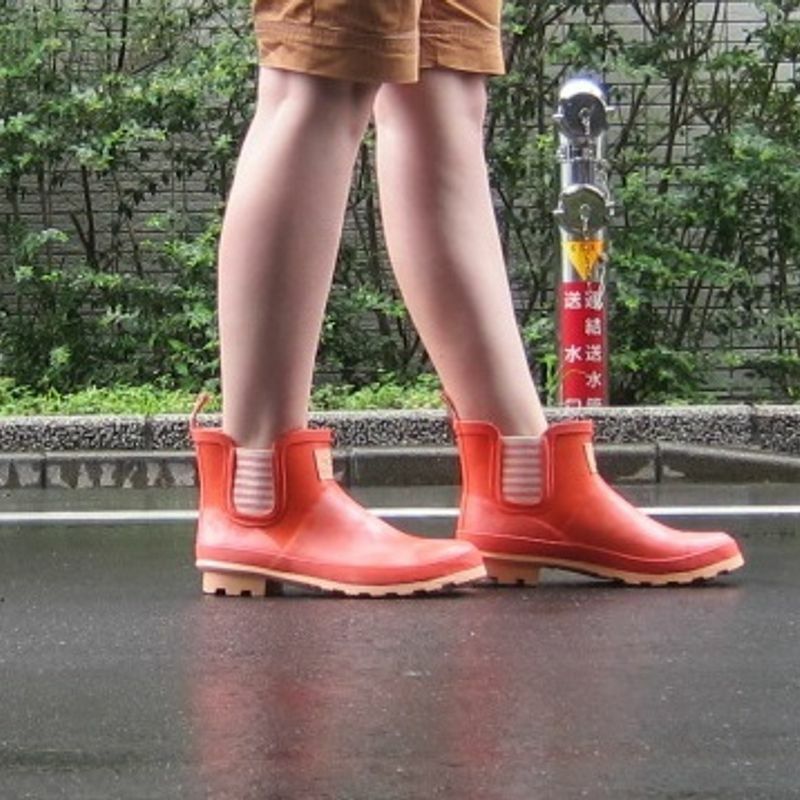 In my hometown rain boots were not really popular and it is kind of odd to wear them, but not in Japan. As soon it starts raining outside, you can see many people walking around in rain boots. Seeing this made me feel more comfortable about wearing them so I decided to buy some too. Nowadays it is hard to live without them. I never had wet feet again and sometimes I also use them for walking in the snow.